Lucknow: For the first time, a highly effective life saving technique is introduced in a premier state government hospital. 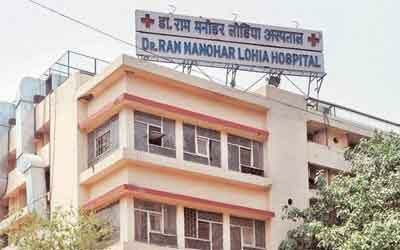 Ram Manohar Lohia Institute of Medical Sciences has become the first one to bring to fore ECMO (Extracorporeal membrane oxygenation) in the state. The technique is beneficial in reviving patients suffering from critical breathing-disorder that is caused due to Acute Respiratory Distress Syndrome. Such patients are highly critical and in most cases ventilator also doesn’t work on them. Dr. PK Das, who headed the team, stated that problem develops in cases where failure of lung function (due to medical condition called Acute Respiratory Distress Syndrome) is found, which inhales oxygen and exhale carbondioxide generated inside the body. ARDS may occur due to infection, injury or inhalation of toxic substances. “Such patients are put on ventilator support for survival. But there may be some in whom ventilator doesn’t work making death certain. ECMO can save 30-40% of such medically gone cases,” he said adding, “ECMO, he added, works by removing blood from the person’s body and artificially removing the carbon dioxide while providing oxygen to the patient externally,” added Das. The health team of the institute declared the first beneficiary of the technique, a 23-year-old youth, out of danger on Friday. “The beneficiary was a 23-year-old youth who developed ARDS in his hometown Allahabad. He kept shuttling to different places including Sanjay Gandhi Post Graduate Institute of Medical Sciences before reaching us on September 12. Showing no improvement, the youth was almost sure to die when the family was offered ECMO on September 22. The system worked and he bounced back to life,” Told Das.